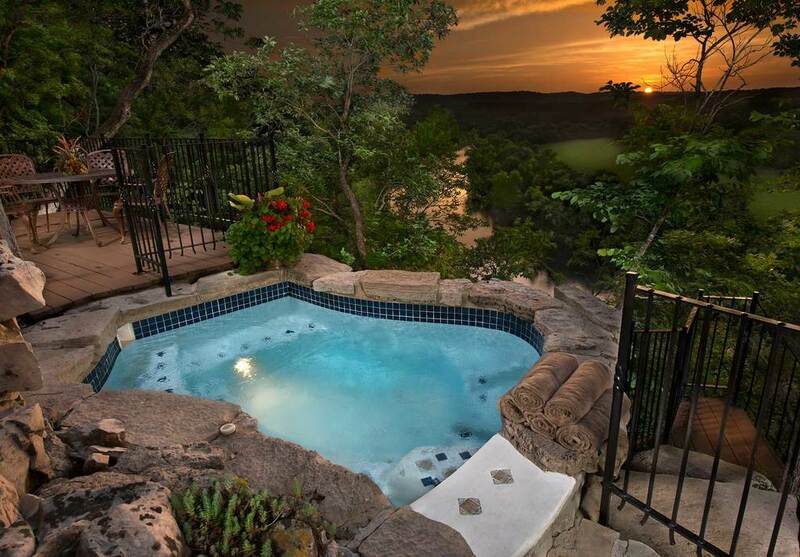 Be sure to take a moment to relax in the custom hot tub, built into the side of the bluff. Enjoy stunning views of sunsets as you immerse yourself in the luxuries of the Bluff House. Perched on a hill just 200 feet above Lake Taneycomo, the Bluff House is tucked away from the hustle and bustle of downtown Branson. 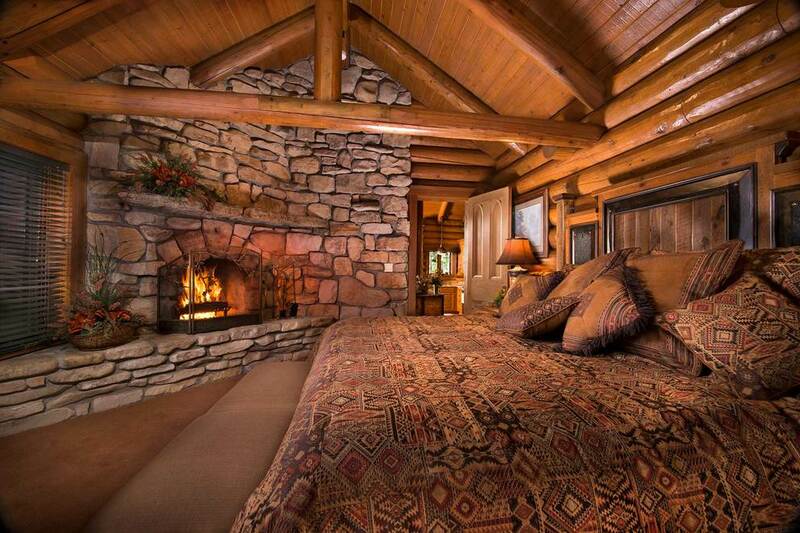 The perfect getaway for a rustic retreat. 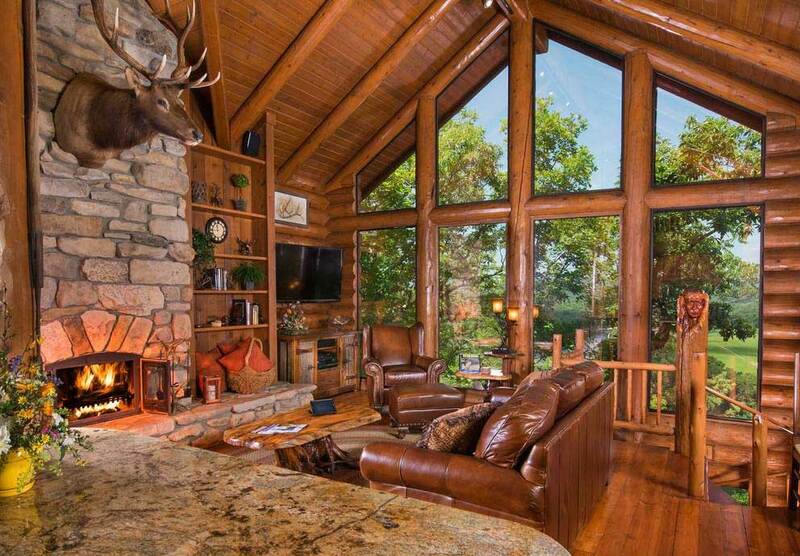 It offers expansive views of the Ozark Mountains and the Branson skyline. With its architectural design and unique features, it's sure to create a memorable experience. The spiral staircase takes you to the lower level of the cabin, where you will be greeted by a living area with queen size sofasleeper and dining area, kitchenette with small refrigerator and microwave. Restroom features the waterfall shower that is hewn from the bluff wall, and a wet sauna. Outside, take time to lounge on one of the two patios while enjoying the beauty of the Ozarks. 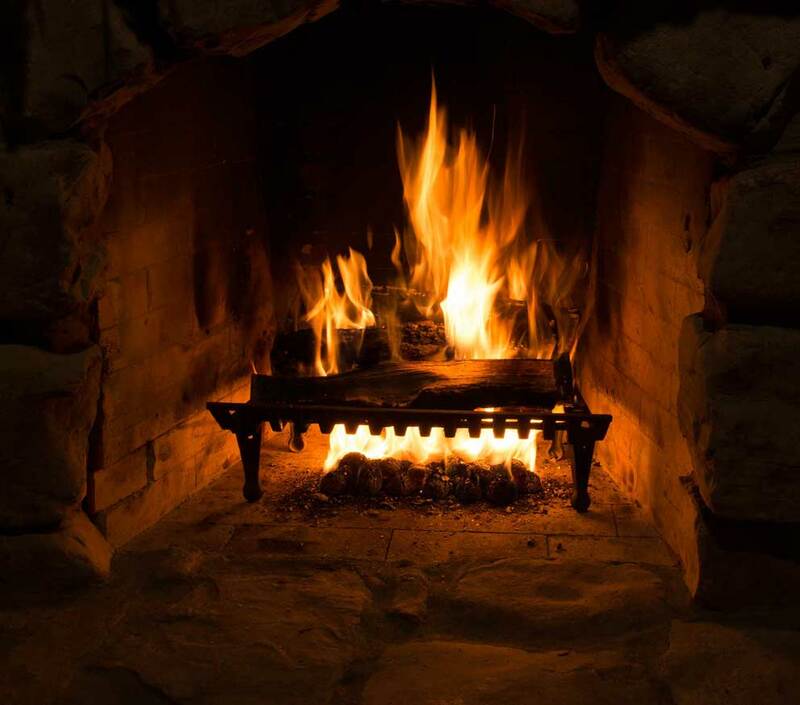 Or, fire up the grill and take your dining experience to a new level. 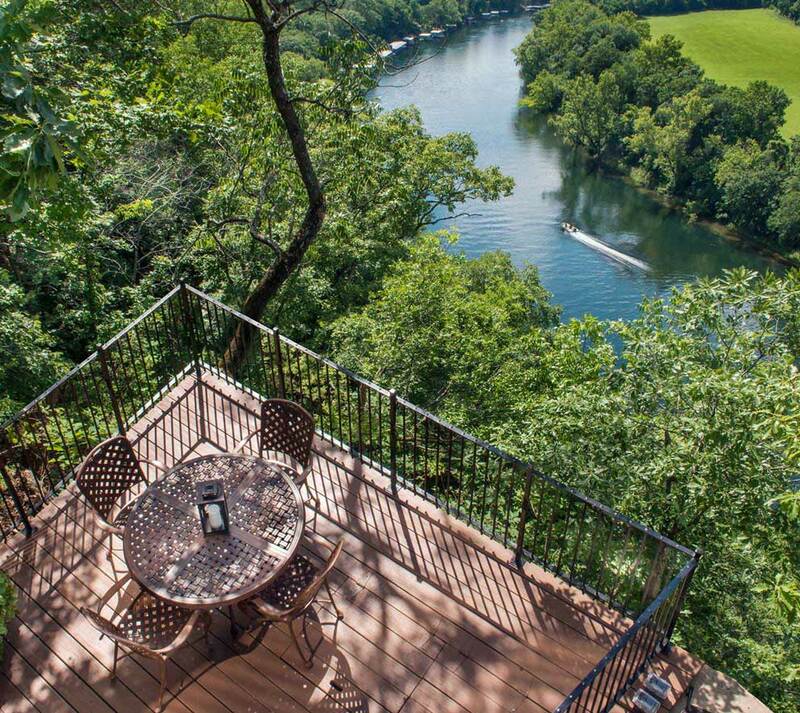 Perched on a hill just 200 feet above Lake Taneycomo, the Bluff House is tucked away on a quiet, scenic landscape. Located just a few miles from downtown Branson, the Bluff House is the perfect getaway. 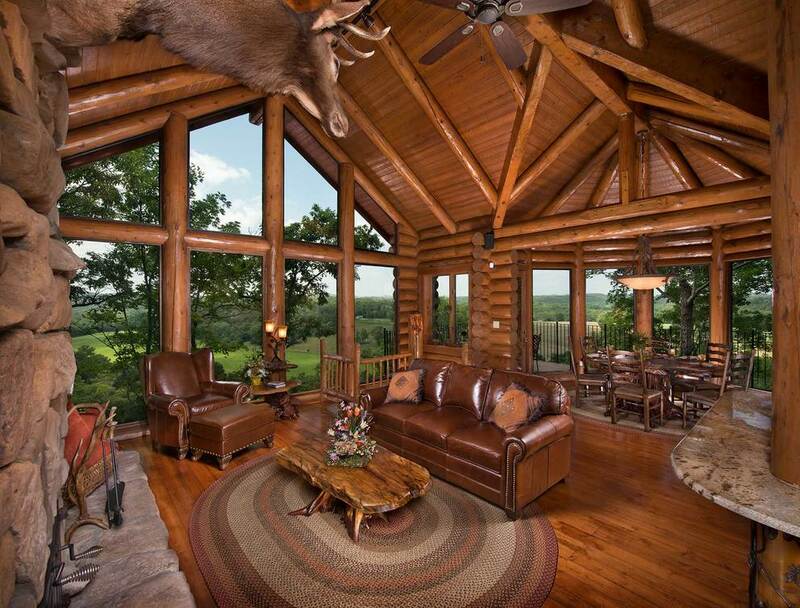 It offers expansive views of the Ozark Mountains and the Branson skyline. With its architectural design and unique features, it is sure to create a memorable experience. The Bluff House comfortably accommodates ten guests. 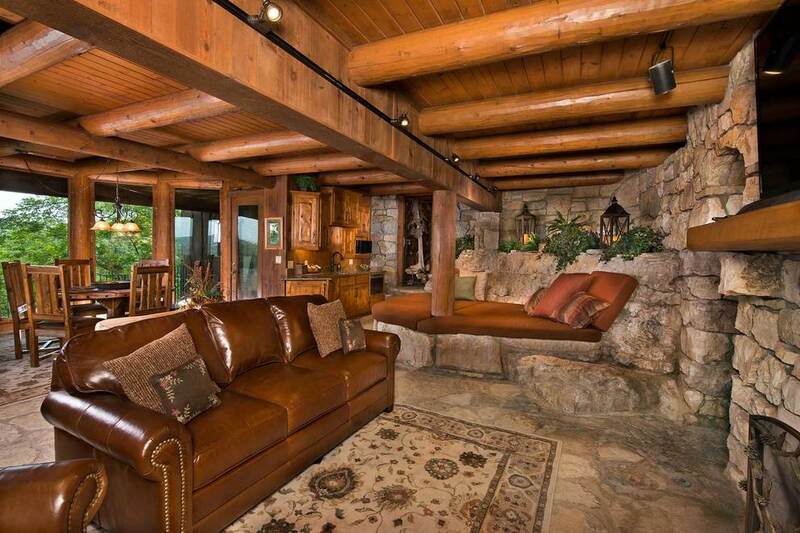 "Stylish Interior Design" - Unique features include hand-carved accents, lovely wood beams, and a custom built cypress dining table.